coops | Apple pie, anyone? I stand before you a broken woman. Innocent, no more. 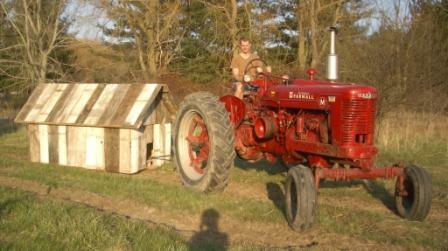 The days of blissful Farm-Maiden-ness… well, they are long gone. I spent better (?) 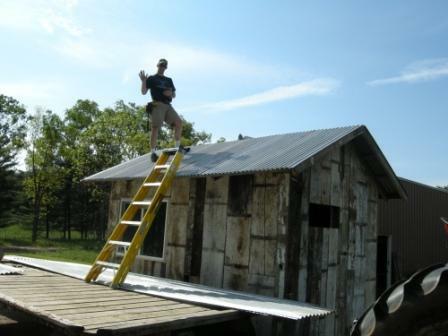 part of 7 hours on Saturday mucking out, hosing down, spraying with vinegar, and whitewashing the inside of the coop to rid our farm of mites and lice and other things we shall never speak of. My boots, which work on a regular basis, had never seen the likes of our Saturday. They are officially broken-in. 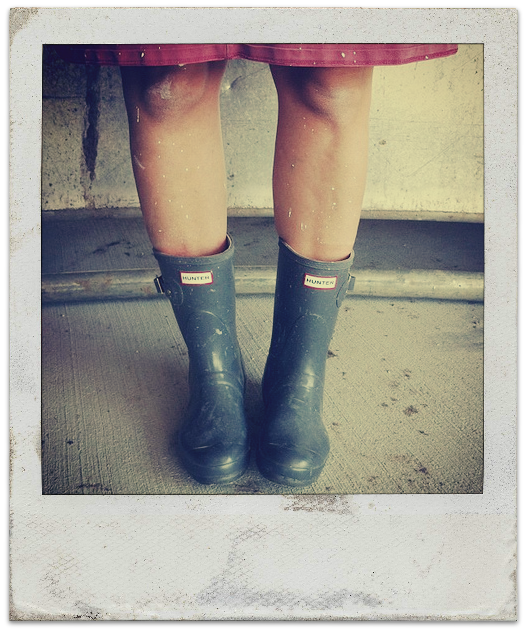 No fashion wellies on this farm. You gotta pull your weight. Now, to be fair: it’s not the chickens’ fault. They’re birds. Birds get bugs. 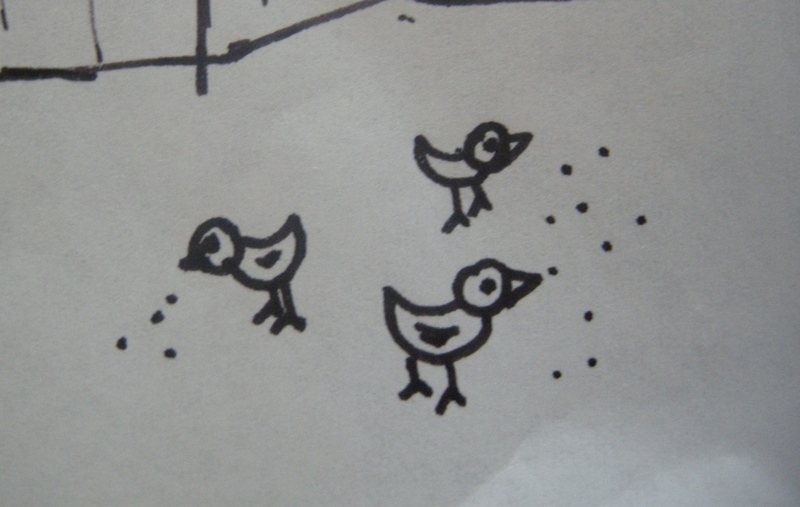 All the nice people in all the farm stores and internet farm forums said the same thing: birds get bugs. I just thought… I hoped… I pretended… that two people who love each other and have the best intentions of keeping their animals happy would NEVER have bugs in their chicken coop. Apparently, it takes a little more effort than that. Well played, Nature. Well played. 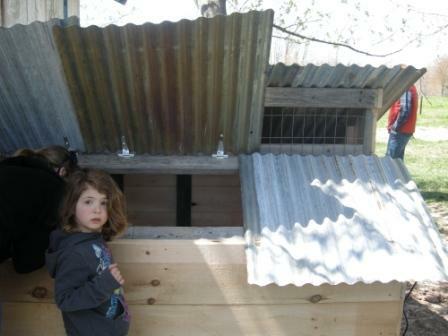 The coop- the big house– has been in action since 2008. I read that post and I laugh. I roll on the floor and cackle. “But they are so easy and so funny.” Blah. blah. BLAH. 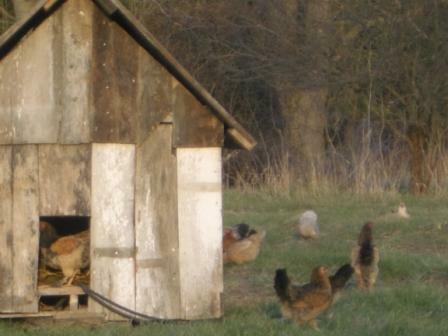 I’ve always gathered eggs daily and freshened hay accordingly. It’s not always pretty- rain makes mud, raccoons ravage, winter is long and stale- but you clean as you go and life goes on. 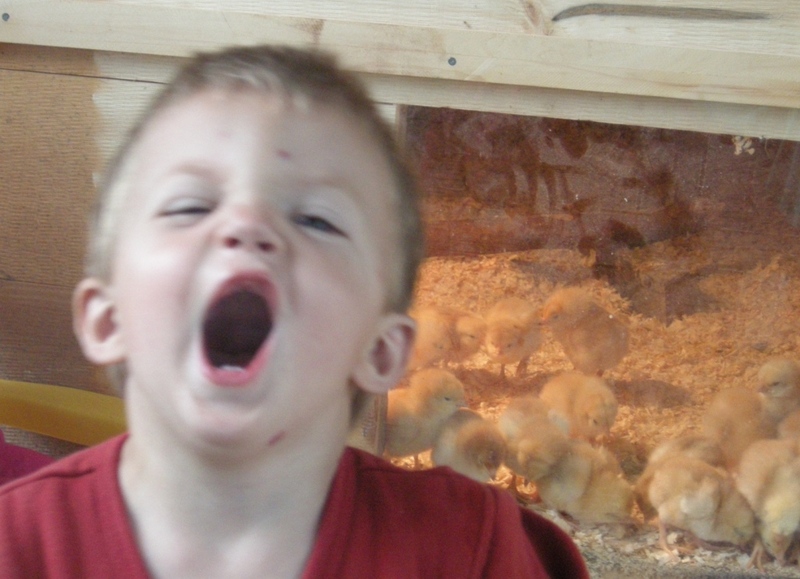 Amazingly, it 4 years for any buggy creature to realize there was a nirvana within the walls… hay, feed, feathers, a little mud, and the occasional broken egg. Add in Michigan’s recent summer of 100° days and you’ve got a perfect storm for a crawly explosion. Good intentions, be damned. Whitewashing brightens everything up inside small, dark barn spaces and has a little antibacterial action going for it, too. It’s also much cheaper than paint. I also painted the bottom of our apple tree saplings to help keep the sun and bugs at bay. Everything I know, I learned. The hard way. So, lest you think I am SuperWoman living a dream out here in the country where the stars are bright and the moon is high… well, I am. But it’s not always local beef and free-range bliss. And I, I am a better farmer for it. Surely, you’ve had some humble pie in your lifetime as well, Friend? Lay it on me. One thing I’ve noticed about living out-of-town is the measures folks will go to in order to make it work. If last Thursday’s post didn’t convince you, let me try again. Back in the day, you lived with your family until you got married. You moved into a modest home, often only one or two rooms, and started your own family. 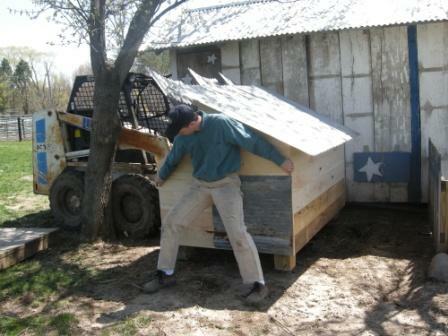 As your spacial needs grew and the snow thawed, rooms were added to homes and chicken coops and barns to accommodate new members and machines that needed cover. You didn’t move. Families stayed on the same property for generations, for better or for worse. It’s rare these days to see expansion. 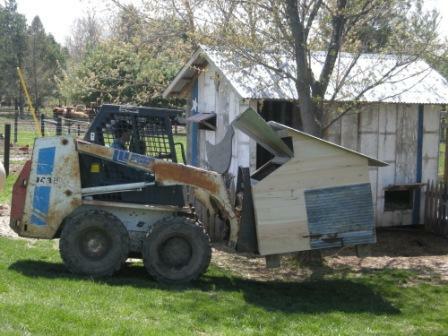 We see upgrading– moving into a bigger home, buying a bigger shed, tearing down and starting over. But, we rarely see additions anymore. They make us think of poverty, Grapes of Wrath, Materials and personal lack-of-know-how have rendered the addition impractical. It’s simply cheaper to move. But, we will need more space. 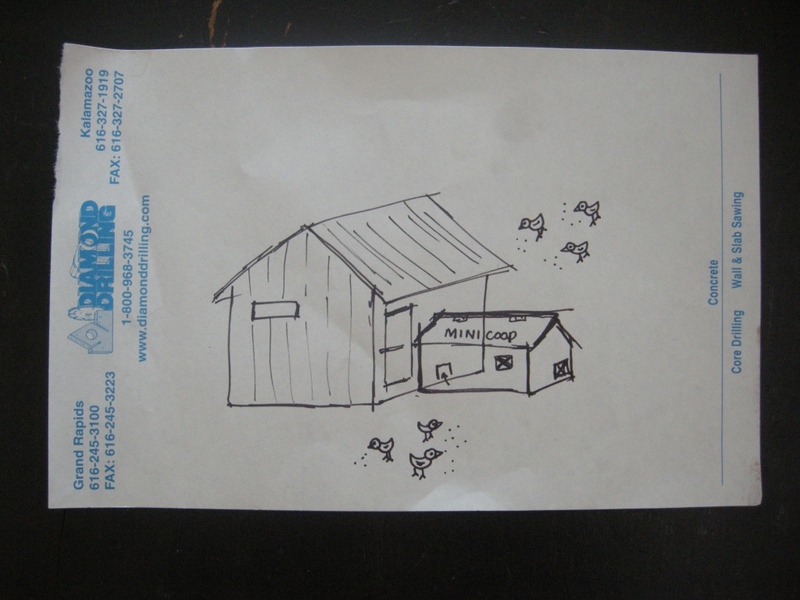 Eventually, a living addition with a bedroom and garage will be added to The Shoebox. We finished half the basement just before SuperKid arrived, giving Rylie a bedroom of her own and a living room with carpet GodblessAmerica. The bigger addition will not be needed for a while, but we’re going to start practicing. 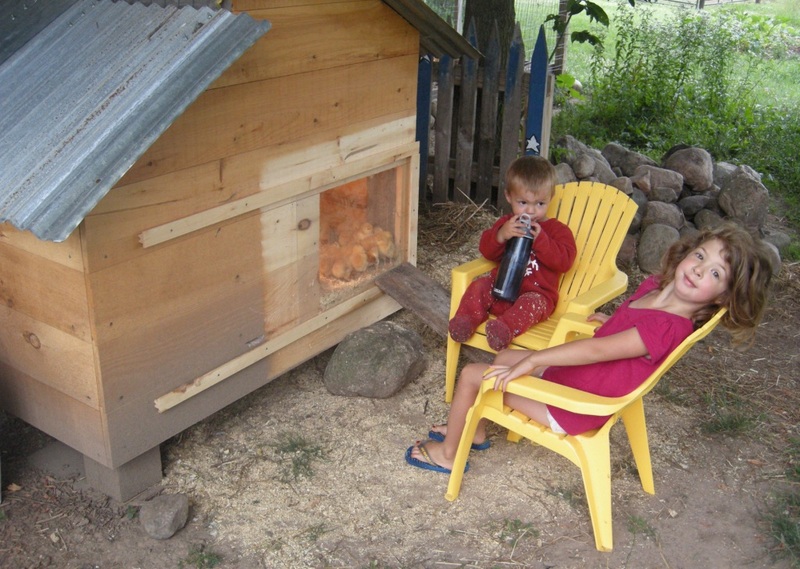 We’ll be adding on to the chicken coop to make room for little peeps this summer. 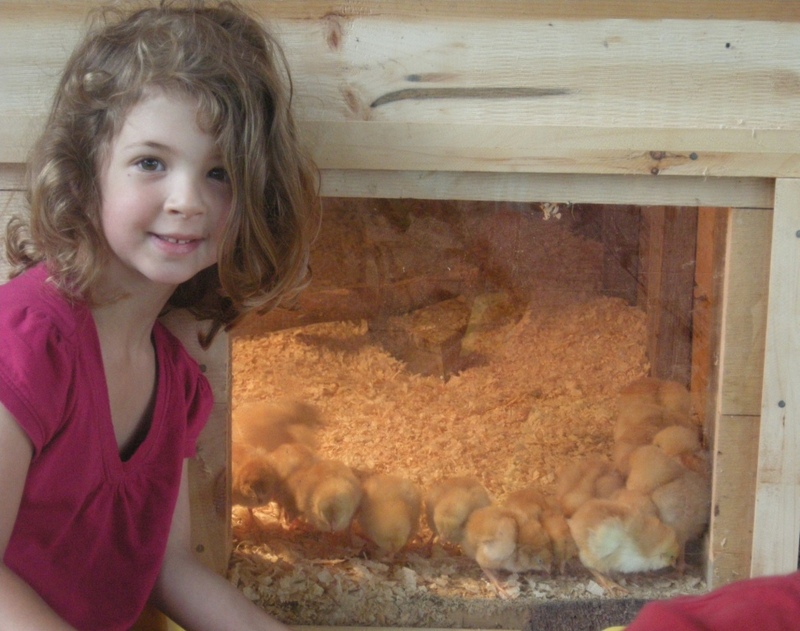 Baby chicks need their own space until they are bigger enough to run with the big girls. The big girls, well… they’re a bit like high school girls, if you catch my drift. A little clique-ish, a little mean to newcomers. They need their space. 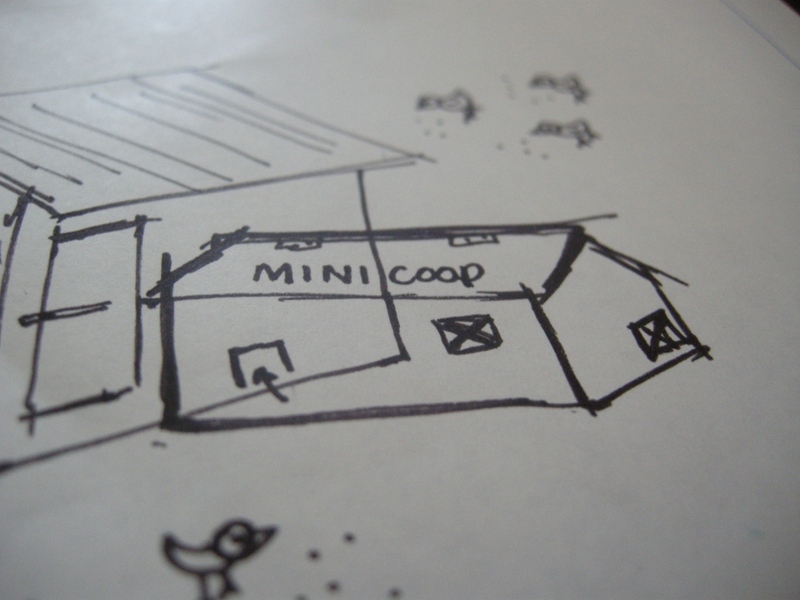 The mini-coop will be small enough that it will be impossible for me to become entrapped within. Phew! 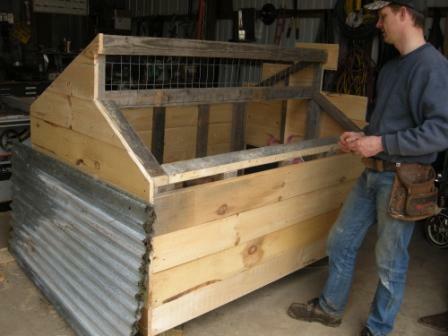 It will be large enough to hold chicks for a couple of months, and it will connect to the enclosed chicken yard to allow for exercise when they’re up for it. Ry has requested a little peep-hole to check on the birdies without taking the roof off, and that is brilliant. We’re going to keep that kid. I am simply the visionary around here. The Boy does the heavy lifting. But, we make a good team. What would you change about your house, if you could? Push out the kitchen? Add another bathroom? Create a mudroom? We got up before God was awake this morning to have breakfast with Kevin and Sarah, who are in town from Sacramento. It was lovely… except for my husband who was running around the house this morning saying, “Goooooooood morrrrrrning, Kate! Isn’t this FUN? It’s like we’re married! Isn’t fun to get up together? GOOOOOOOOOOOOOOOOD MOR. NING. Good morning. Hey, Kate? Good morning.” I shot him and now he is dead. After breakfast, Ry and I hit the grocery store. It’s like 6 o’clock now, right? When can I go to bed? 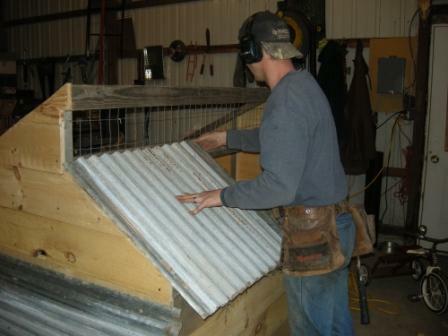 Today, class, I would like to share with you the anatomy of a Chicken Coop. Fantastic, some of you are saying. But, look. This here is the start of a farm slash ranch and therefore you must deal with the farm-ness of it all. On the other hand, I know some of you actually really dig all the farm talk. It’s different from ‘normal life’ these days. This is for you. Ok. The chickens have been living here. 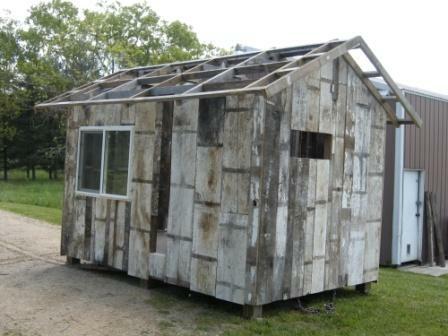 (to your left) This is the coop Curt and I (sike… jus’ the Boy) built in an afternoon, ‘member? It has worked perfectly for the past 2 years. Now that we have 25 chickens we plan to protect from fox and hawk, we figured it was time to make a little more permanent structure. Being in construction, The Boy comes across a lot of lumber, barns, trusses, etc. that are on their way to the burn pile. 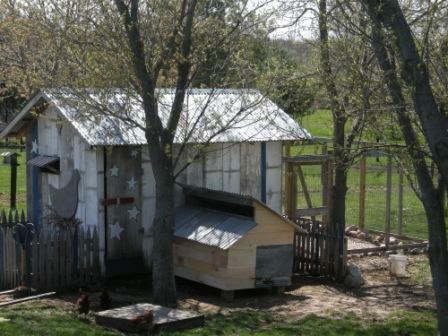 This entire coop, save the foundation, is all reclaimed and recycled… from the floor to the studs to the roof. I love that boy. 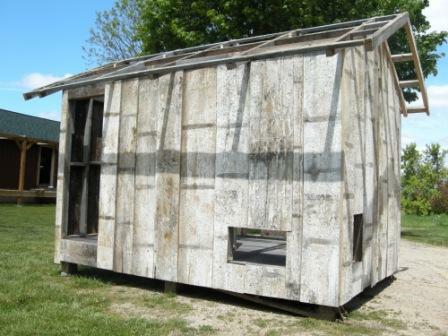 The siding is from an old oak barn and in covered in 100% lead paint, I am sure. It’s been scraped and there’s no paint on the inside, so we’re ok.
There’s an old kitchen window here, complete with screen, that will face South. This will let in lots of light in the winter and help keep the birdies laying those yummy brown eggs. That little rectangle there is just a little peeping window for me… maybe a little window box will live there one day. And, a butterfly bush. I can stand up in this coop! Just inside the door will be a little storage area for food, potting materials, AND… 2 doors for grabbing eggs. Then, another door for entering Chicken-ville. It’s hard to tell here, but those two larger rectangles will be the back of 6 nests where the hens will lay. I’ll be able get the eggs from the storage side without gettin’ in their business. Very cool. And, see… there’s the little peeping window behind it? 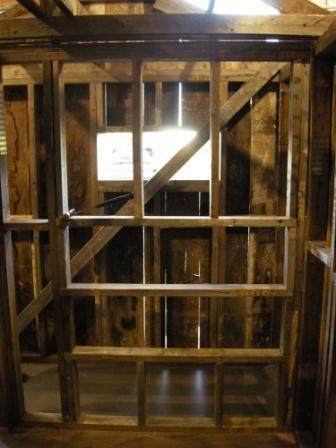 The inside dividing walls are not finished yet… just studs for now. There will be two covered “yards”… plenty of room for chicks to play outside and scratch and drive the kittens nuts. There will be a roof to keep Mister Hawk away. Curt has made 2 doors that attach to pulleys in the storage area. so I can open a chicken yard without having to actually walk inside their area. Brilliant, that man. Seriously. This thing could pass a permit inspection. 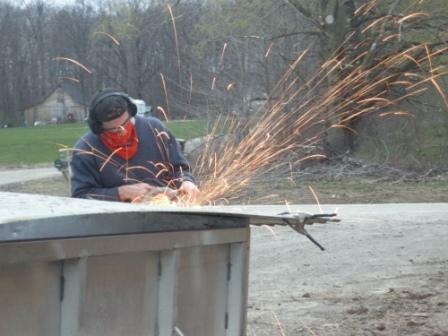 There’s also a larger hole on the North side that will allow me to sweep out the coop. The shavings and hay and feathers and bird poo will go right out that hole and into a pile next to the garden. Genius. 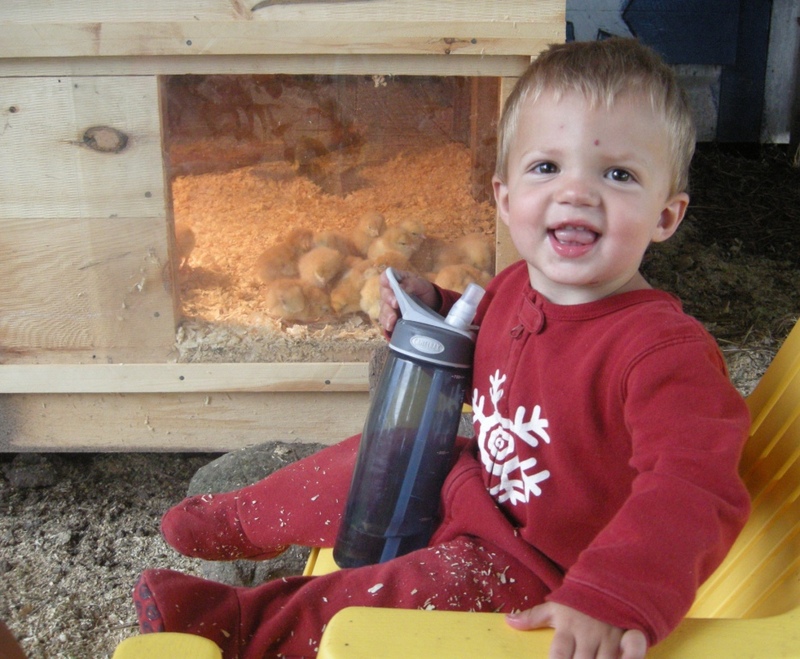 So, you’re looking at the North side of the coop here (to your left)… there’s a people door, then my sweeping-out-the-poo door, and then a chicken yard door around the corner. Yes? 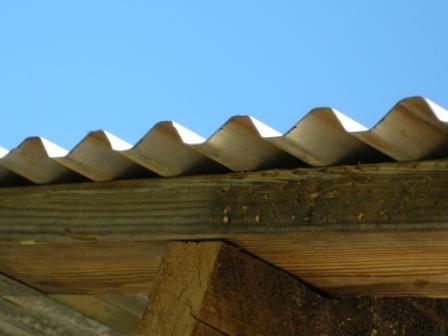 The roof is tin and makes a wonderful sound in a thunderstorm… like we’re having right now. It will match our porch roof coming later this summer. And that’s really all it takes, folks. I never really planned on having chickens… the first batch was an accident, you know. But they are so easy and so funny. They keep visitors’ children busy for hours! And those eggs… oh, man. 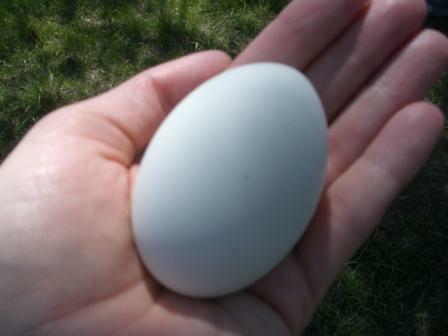 Even store-bought-organic-free-range-massaged-daily chicken eggs can’t touch the taste from ones outta yer backyard. They’re fantastic. So fantastic, in fact, that I’ve decided when Curt takes over the world, I’m going to buy you all one of these: click here. How awesome are those??? So, there you go. 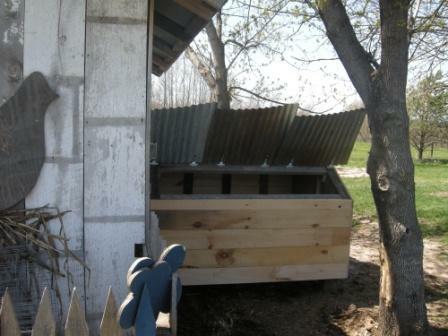 A chicken coop. Come on over… they’ll put on a show for you. Happy weekend, folks. Y’all come back now, ya here? And, no, Curt’s not dead. I love him so much. Texas North: now 25 times the fun! That’s right, folks. Things were getting a little boring around here, so we took matters into our own hands. Nothing says F.U.N. like chickens, eh? Oh my gosh. It still makes me laugh. I don’t understand how these things happen. Well, maybe I do. Saturday, Curt, [brother] Mitch, [sister] Megan, and [brother-in-law] Billy competed in an Amazing Race-style adventure race at Camp Roger. Last year, the money went towards building a huge classroom tree house. This year, all money raised goes to scholarships for kids this summer. Good times, great people. 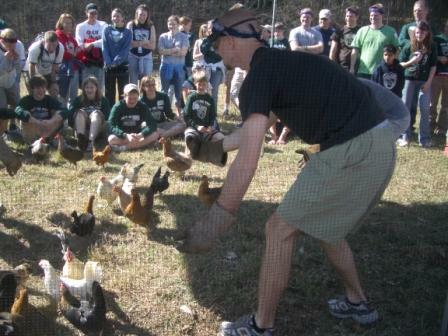 One of the events this time around was called ‘Barnyard Wrangle’ and involved herding 25 chickens into a pen. I, of course, asked what was going to happen to the chickens when the day was over and was told they were going to be released… Camp Roger style… which means left for the coyotes. Well. I figured if they were going to get eaten, they might as well come to the Farm and enjoy a couple nights of free-range bliss first. Why not. Curt, bless his heart, went right along with it. 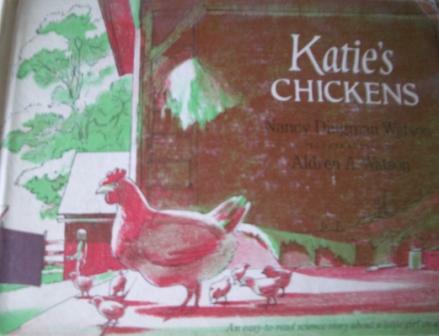 Everything I know about raising chickens I learned from reading this book as a child. I read it again to the whole family yesterday so we could all be on the same page. 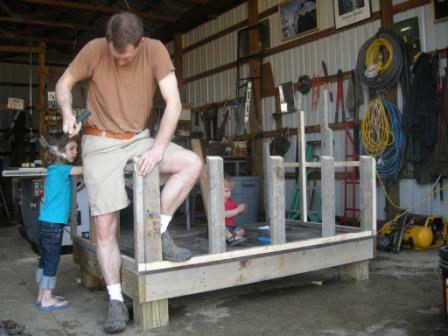 Saturday night and Sunday found us internet researching for all we were worth and building a coop out of old barn wood (and I say ‘we’ because I really really helped- seriously). 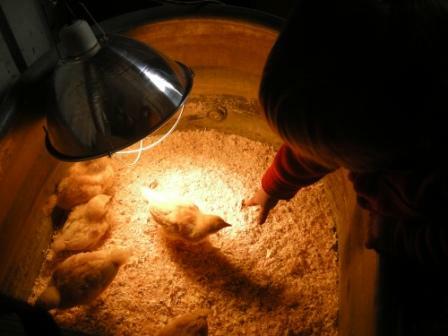 We plan to let them wander during the day and then coop them up at night to keep them safe. Our grass is going to grow like crazy. I’ve found 2 beautiful eggs and put them in the fridge. Abe is happy as a clam…randomly scaring the feathers off them and then rolling in their poo. Curt is really good at grabbing them by the ankles and throwing them out of his garage. My Lanta. It’s going to be a funny summer. They all have names- obviously. They won’t tell us them yet, but I suspect that will come in time. At least, I hope they open up. I’d like for this to be a friendly sort of farm. 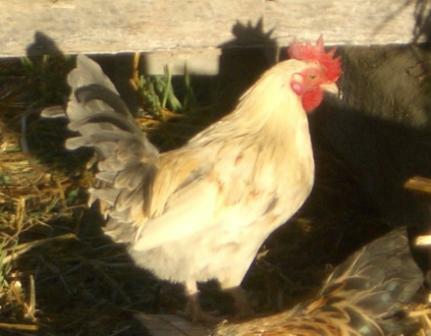 Our nieces Hailey and Marli are absolutely smitten with them and have named the rooster Peter. I hope he’s ok with that.